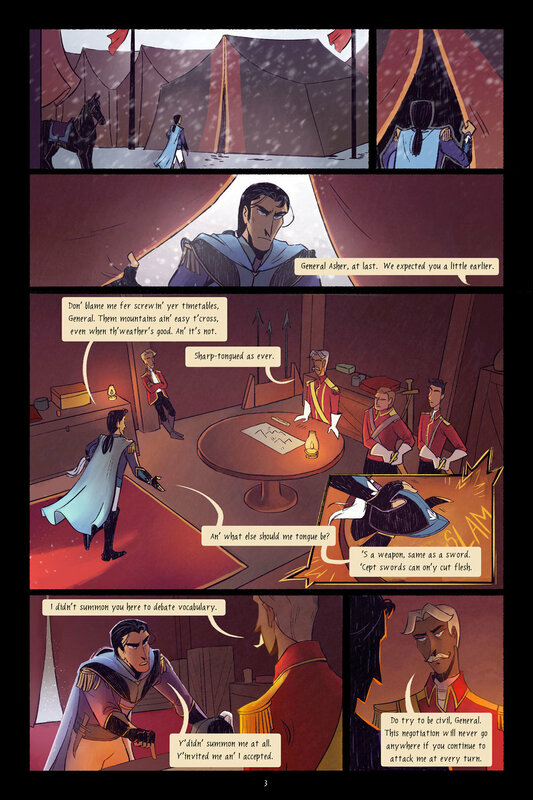 This webcomic is set in a fictional world where two nations, Avalia and Gestlyn have been engaged in a long conflict with each other. The prologue starts off with the Avalian general Jarrett Asher attempting to negotiate a peace treaty with the enemy. And of course, like all good stories, things get a little hairy. 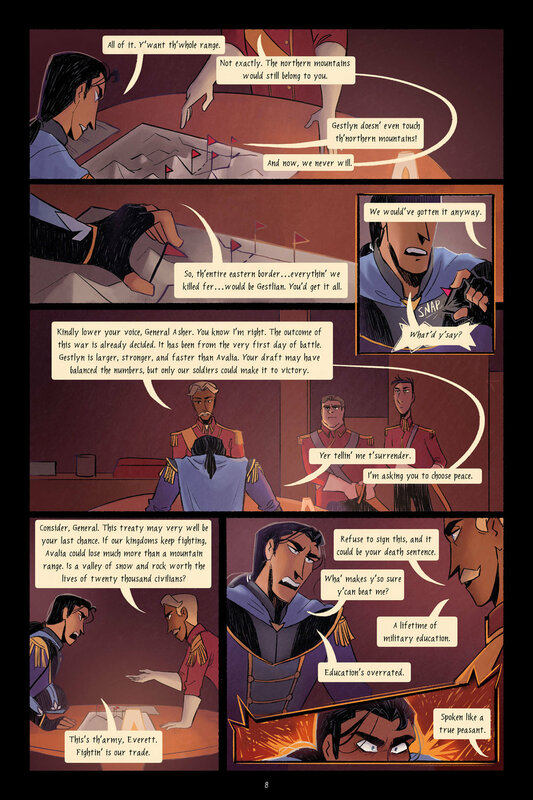 And then, the webcomic continues with an epic battle, with the brash general Asher at the forefront. 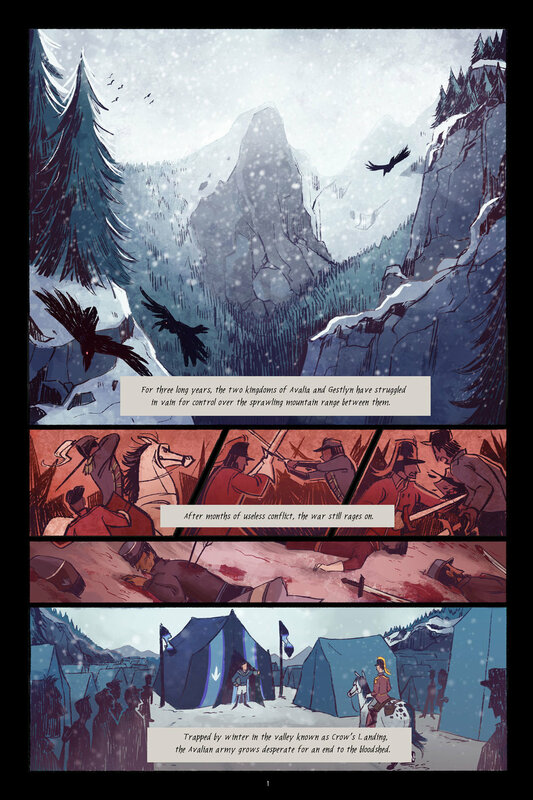 In this webcomic, Delaney's amazing art work is what first drew our attention for sure, but it's also her world building and narrative skills. 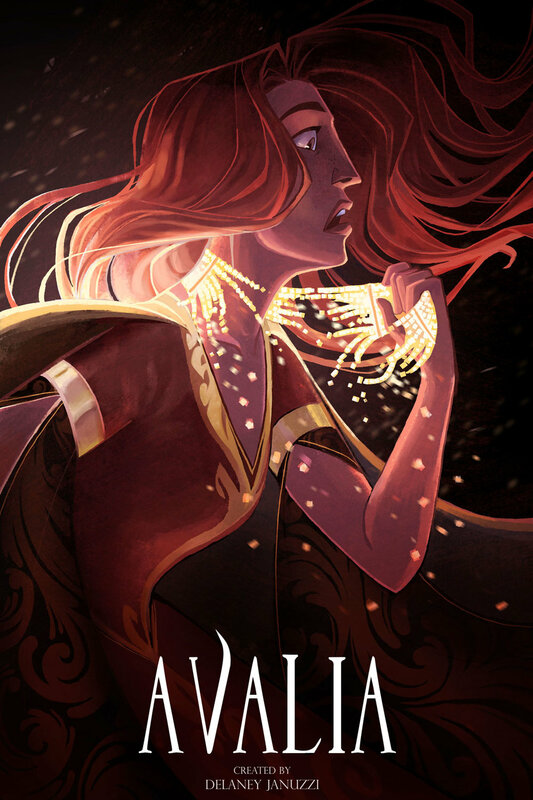 Avalia is one of the most well made fantasy adventure tale that sets up a world that you could actually care about, and she spares no details in making it a rich place. 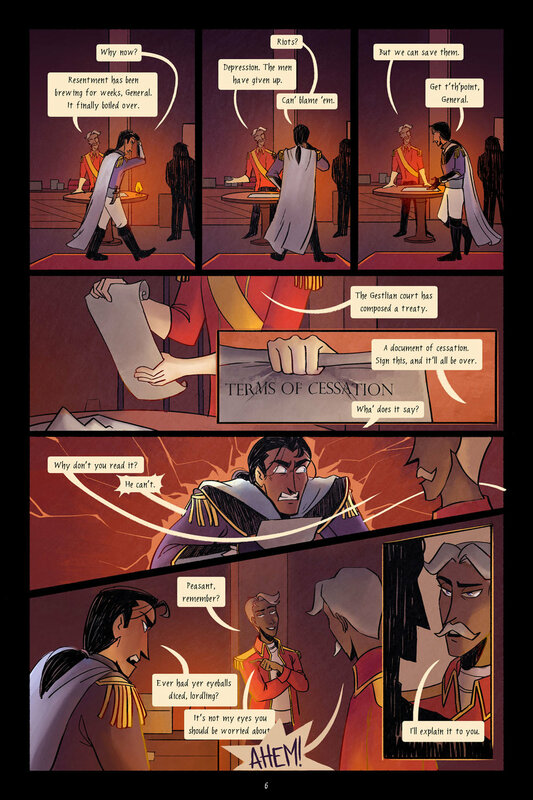 The characters are also very well shaped and fascinating, such as our young general Jarrett Asher, who, after the above page, will soon know the consequences of his hubris. Do you like Avalia? If you do, please go check it out and support her work!